We are working directly with the SPCA for Monterey County to help adopt out their furry residents. The ranch is now a foster placement for unwanted animals who need social interaction and a place to live during their time of transition. The SPCA can only rescue as many animals as they can house so for each foster we take in another animal is rescued. We recently brought in three sheep which opened up enough space for forty neglected rabbits. When you book a vacation you are supporting our mission and will play an important role in the process. Opal is fitting in nicely at the ranch - she has already made a new friend! If you are looking for a guinea pig please check your local rescue. These two hamsters came from the SPCA for Monterey County and are looking for a new home. They are very playful and know how to stay warm. These cuties might just make the perfect gifts for Easter. Sister came from the SPCA for Monterey County. When the organization found her, she was belly deep in feces. Her pen was so cramped that she could not turn around. There was no door and had to be cut out from her enclosure along with four other horses. Bar SZ Ranch turned Sister's life around for the best. When she arrived at the Ranch, she had never been ridden, let alone desensitized, nor able to walk correctly. Our trainer Michelle successfully turned Sister into an adoptable horse that was ready to ride. She was desensitized and able to walk and perform like a normal, functional horse. Sister is now very happy and enjoying her new family. Thank you so much to Julie and her family for giving this beautiful mare such a great home! Our guests were part of the formula for success, you may have seen Sister in the round pen getting used to all sorts of noises, movements, plastic bags, etc. We miss you already Sister, keep in touch. Our three sheep, Pecorino, Manchego and Halloumi (named by a guest) were happily adopted in 2019! After getting used to people and enjoying the guests’ company the sheep were introduced to their new home. They are enjoying luscious grass and wide open space in their pasture. Looking at the difference from when they arrived to when they departed is unbelievable. They are getting better with people and are always running around, eating, jumping and playing with each other. We miss you! We love the opportunity to rescue and rehabilitate when animals are in need. Some we have rescued and are still living onsite, while others we fostered and found a permanent home. Prior to purchasing any animal big or small you should always check with your local rescues or SPCA. You can find rabbits, guinea pigs, rats, mice, hamsters, birds, and reptiles along with larger barn animals and of course cats and dogs. If you support an unwanted pet it will bring extra meaning to the adoption. These two donkeys came from the SPCA for Monterey County and couldn’t be more popular. Meet Maleah, our new SZ Reporter who will be bringing you stories and photos of everything new and exciting that’s happening at the barn. She has been volunteering at the ranch for a few years and is one of the hardest working teenagers we know. She loves all things animals and the ranch lifestyle so we are the perfect fix for making a boring weekend fun and exciting. ;) You will see her stories on Facebook, Instagram, our blog posts, and this up-to-date SZ Rescue Mission webpage. Stay tuned for more stories about our rescue and rehabilitation mission coming soon. The Bar SZ stable has a horse for every rider. Whether you love loping down the trail, jumping, or just want to walk along the countryside, our trail boss will find you the perfect match. Many visitors come back time and time again, some enjoy the partnership they build with their horses and request them again. Others start with, let's say, a 'slower' type of horse and gradually work their way up to a more 'energetic' horse. Michelle has a long history of working with horses which goes all the way back to her childhood. She first began riding when she was 6 years old and her passion for animals led her to become a riding instructor at the young age of 13. She rode horses in both 4-H and the United States Pony Club and was fortunate enough to train with many professionals in English and Western riding. 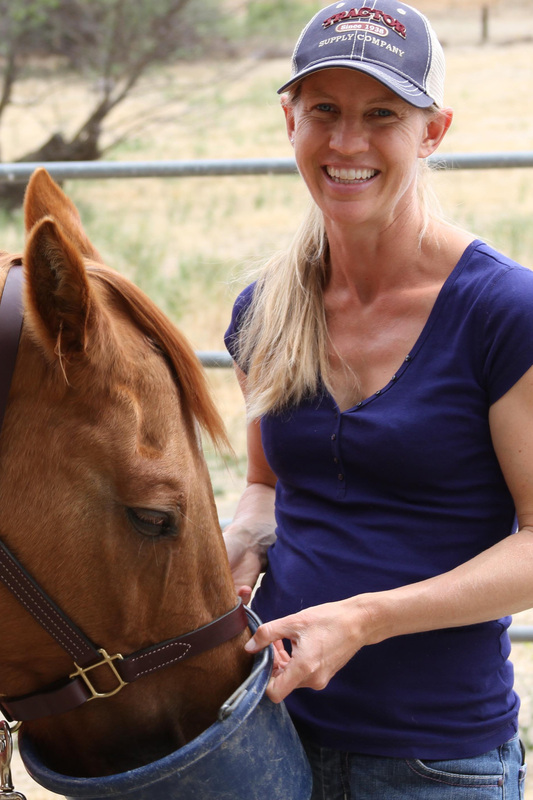 Michelle attended both Clemson University and Cal Poly SLO where she showed horses and earned her degree in Animal Science with graduate work in Agricultural Education. After college, Michelle was certified through Equine Growth and Learning Association (EGALA) where she worked as an Equine Specialist in therapy sessions with at risk youth and families. Michelle is officially a level four instructor with the Certified Horsemanship Association. She is qualified to improve the performance of advanced riders and their horses which includes jumping courses, dressage movements, reining, and other performance events. Michelle is teaching all three of her children how to ride and compete, as well as a countless number of other kids. Managing the Bar SZ Ranch and teaching riding lessons is a dream come true for her. Characteristics: Bailey is a ranch favorite! At 19 yrs old and 15 hands high she is extremely safe yet very energetic. Bailey is perfect for the confident beginner as well as the advanced rider. When not on the trails Bailey can be found in the show ring performing everything from English hunter jumpers to dressage to Western pleasure, reining and cattle sorting. This mare does it all! If you are planning on taking a riding lesson, Bailey can help you learn almost any equine discipline. Characteristics: Charlie has been at the ranch for about three years, she is from Cal Poly Pomona. At the university she was a drill team horse and even rode in the rose parade! Charlie is a beautiful Bay Arabian that has a little sass to her. Despite her attitude, she is an excellent horse for anybody up for a more complex ride. Her favorite gait is a canter. She is a calm and confident trail horse who gives many kids their first chance to ride. Characteristics: Deuce is a laid-back, enjoy-the-sights kind of trail riding companion. Deuce had an accident before coming to the ranch which left him unable to continue his previous performance career. However, his injuries healed completely and he is the perfect horse for a stroll down the trail. Duce is a very sweet and extremely mellow horse. He is 18 years old and 15 hands high. 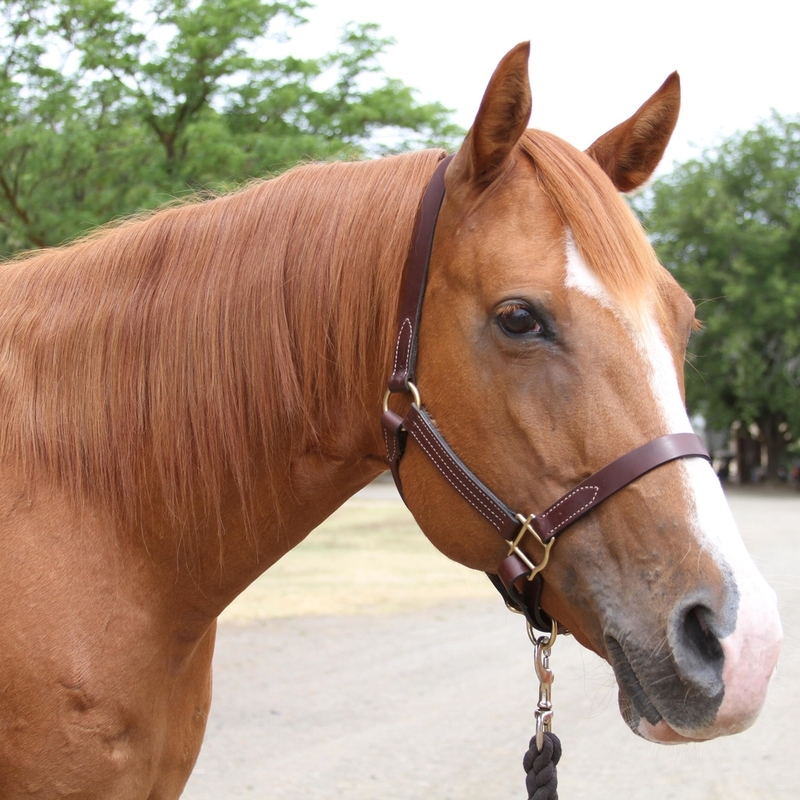 He loves trail rides and is great for building confidence with any new rider. Characteristics: Dillon had a past career as a racehorse and came in second place a number of times! He now spends his days leading trail rides and relaxing in pasture. Riding Level: Dillon belongs to one of our Wranglers and is not available to ride, you will instead see him leading the group. Characteristics: Dusty is easily the laziest horse on the ranch. He is the perfect trail mount for timid riders and kids riding for the first time or for those who just want to enjoy the scenery at a slower pace! Dusty is a loveable and sweet horse that you will fall in love with when you ride him. He is a handsome horse and has a great attitude. He loves trails and of course an occasional cow, though he is not so good in the arena. This horse is best for the beginner that wants to learn how to ride. His favorite gait is a walk. Characteristics: Josie is the bravest horse we have here at the ranch. Nothing fazes this horse which makes her an amazing trail companion for both adults and kids. At 28 years old, Josey still wants to go! She will always be found in the front of trail rides and everything else that includes being in the front. Josey is so calm that if a bomb went off she would not even move. She takes care of less experienced riders as well as more experienced riders. Her favorite gait is a gallop. Characteristics: Don't let this girl's age fool you! Mattie came to us after a successful barrel racing career and even won money as a professional. So this girl is FAST! Even now, in her older age, she is very responsive and is perfect for advanced riders only. Characteristics: Yes, you read that year correctly. Midnight is the oldest horse on the ranch, but he doesn’t let that slow him down! Midnight is a 43 year old black Chincoteague Island pony. These ponies must swim a mile and a half to get off their island. Midnight loves to ride in English rigging and is great with kids. He can be spunky at times but knows how to take care of his riders. 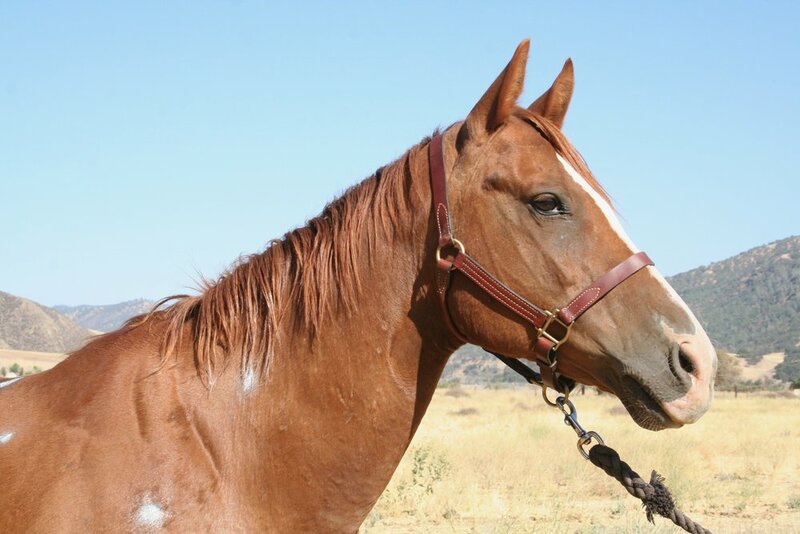 Characteristics: Nemo is an orange and white paint pony who was trained on the ranch. He is only 9 years old but has made a name for himself around the ranch because he gives such great pony rides. This little guy got his name because when he is out in the tall pastures you need to look close to find him...finding Nemo. Characteristics: Oakley is a tomboyish mare who knows her job and loves to please. She is a fun trail horse for those looking to walk at the front of the pack! Oakley was a cow herding horse, she enjoys trail rides the most and exploring the backcountry. She is always up for some cattle sorting and anything to do with cows. Her favorite gait is a trot. Characteristics: Paloma is our gorgeous Palomino mare. Everyone looks great on her and she is perfect for kids because she is so mellow. Paloma has lived on the Bar SZ for quite some time and at age 27 she knows her way around the ranch. Since then she has given countless kids their first chance to ride a horse and is a great trail mount when she isn’t busy bossing the other horses around. 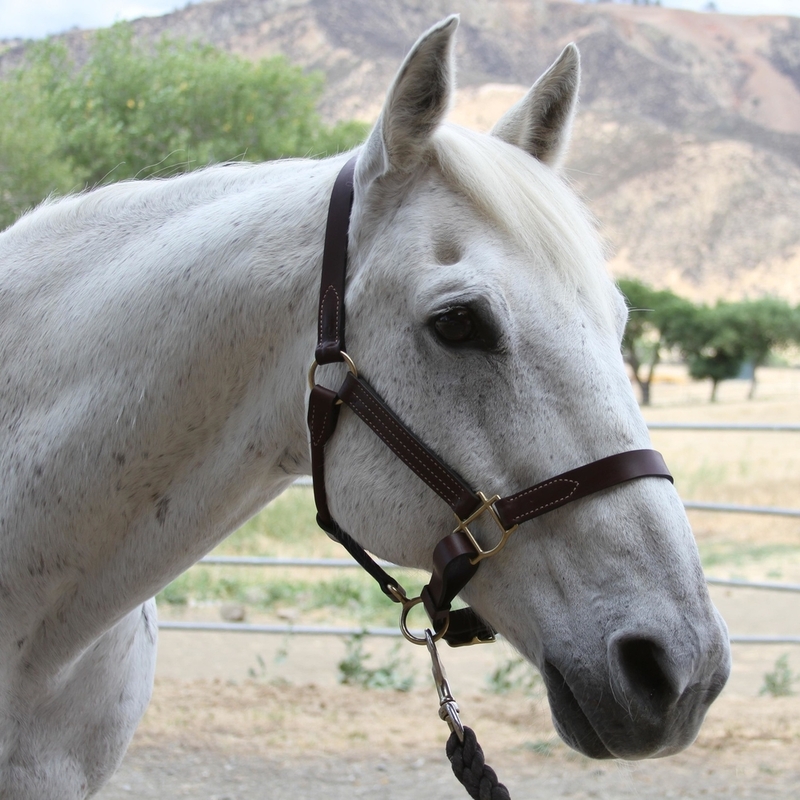 Characteristics: Reign came to the ranch from Cal Poly Pomona after her career as a drill horse. Rein is Charlie's best friend, you will always see the two together when out in pasture. Rein makes walking, trotting and cantering look beautiful and graceful. She is a real pleasure to ride out on trail and in the arena. Her favorite gait is a canter. Characteristics: Rico came to the ranch after spending 15 years as a breeding stallion which makes him a feisty fellow! Rico is a fun trail or arena mount for confident riders as he is an athletic and energetic Appaloosa. He is best suited for those who can handle his spirit. 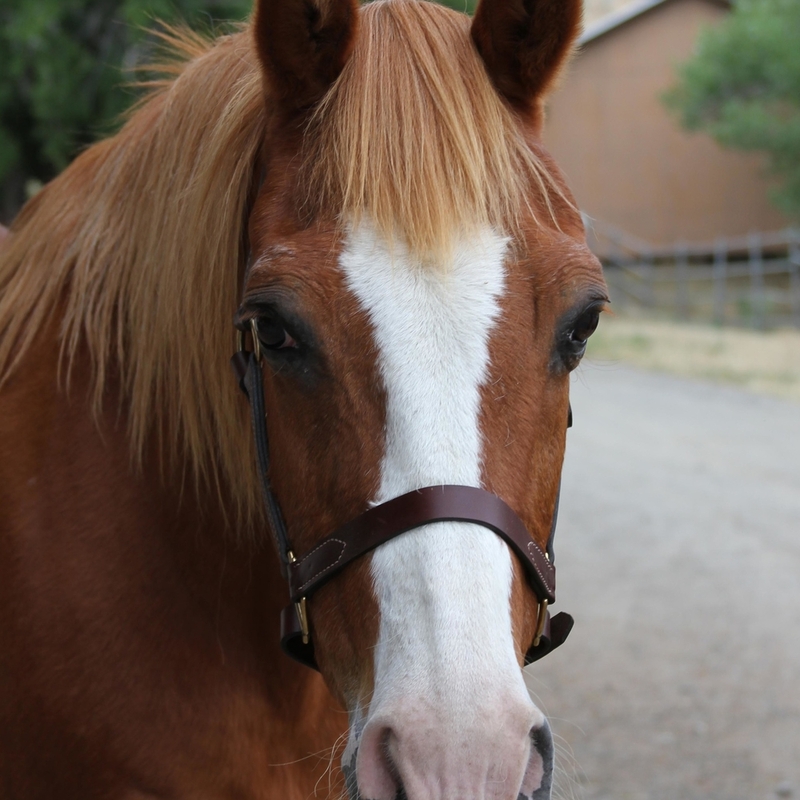 Characteristics: Ruger is a spunky horse for trails since he has lived in Paicines for much of his life. He loves cows very much and always enjoys working with them. Though he loves trails, he makes a nice arena horse as well. Since Ruger is a relatively small horse, smaller riders are the best for him. He is a faster horse and likes to stay in the front of the group. His favorite gait is the canter. Characteristics: Scout is a laid-back guy who loves to do his job with a no-fuss attitude! He is the perfect horse for any rider on the trail who wants a smooth and easy ride. 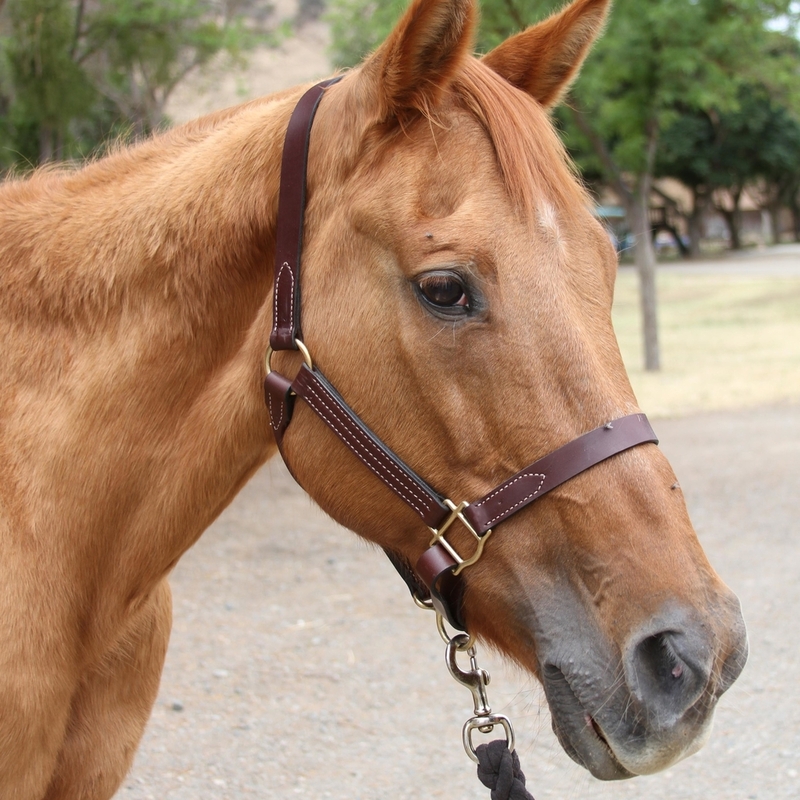 Scout is a well trained rope horse for those looking to challenge their roping skills. Characteristics: Tex is a spunky guy who likes to get down the trail safely, but quickly. He came to us after a career as a ranch horse so this guy has seen it all! Tex came with Oakley and Dusty, he is also a retired cattle working horse. He likes trotting and playing with other horses (and especially cows). Tex is Colton’s favorite horse and he recently won a belt buckle on him. His favorite gait is a trot. Characteristics: Willie was bred, born, and trained here at the Bar SZ Ranch. With more miles and training under his belt we hope for him to become a confident trail mount. He is currently going through a rather exciting teenage rebellion phase! Riding Level: Willie is currently a 4 horseshoe ride, but we plan on him being a 2 horseshoe ride once he has finished his training!